Yes, we know your type. You’re the classy sort who likes their drinking with a side of fragrant bouquets and floral aromas. So say ‘Bonjour!’ to Maison St Germain, a flower-filled pop-up bar coming to pretty-up Soho Square this month and set to be brimming with blossom. 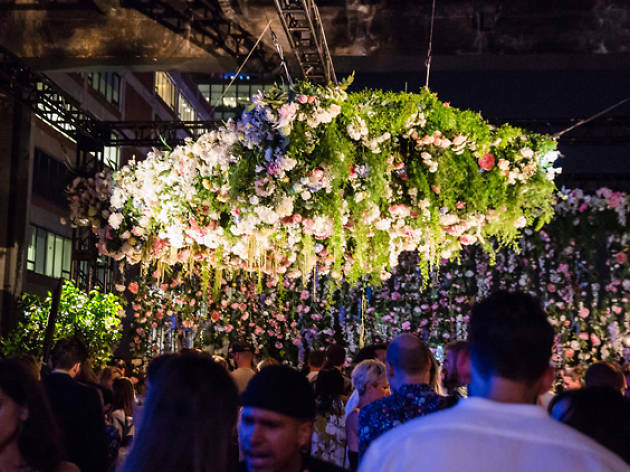 The London version will hopefully have as gobsmacking an array of flowery displays made by London-based floral designer June in March. And get set to sample drinks as delicate and aromatic as the decor, with a range of original cocktails being made using the sweet liqueur. Best of all, this surprisingly oh là là setting is bang in the middle of Soho Square. Sadly, we can’t promise doves in lieu of pigeons at the entrance. Maison St Germain is running Thursday July 27-Saturday July 29, noon to 8pm, at 2 Soho Square, W1D 3PX. Admission free, with one free drink token per guest. You can sign up for master classes and for access to the speakeasy on arrival at the pop-up. Find more pretty drinks in our guide to London’s most ginny summer drinks. A little bit of, actually, a lot of, ooh la la! A pop-up by St Germaine's elderflower liqueur which delivered on both the liqueur and flower front. Thank you St~Germain for the complimentary St~Germain Cocktail in a beautiful setting and for the flower bouquet.